MICHAEL MESSER’S MITRA: Michael Messer’s Mitra is a unique musical trio of blues slide guitar, Hindustani slide guitar, vocals and tabla rhythms. In 2013 Michael Messer travelled to India to perform at a festival in Mumbai. Just before the trip, he was put in touch with one of the new rising stars of Indian slide guitar, Manish Pingle (pronounced ‘Pinglay’). Manish invited Michael to his home in Mumbai and after just a few minutes, the two musicians were jamming on two Mohan veenas (Indian slide guitars). Manish had heard some blues, but not the style of rural blues that Michael was playing that night. The two musicians felt an immediate and natural musical rapport and found that they were able to switch from blues to Hindustani music without really noticing the transitions. It was natural and easy, as if they had known each other’s playing for years. Michael Messer left Manish Pingle’s home that night, vowing that he would find a way for them to play together again. Fast forward six months and Manish Pingle landed at Heathrow in September 2013 for a concert with Michael at the Troubadour Club in London. 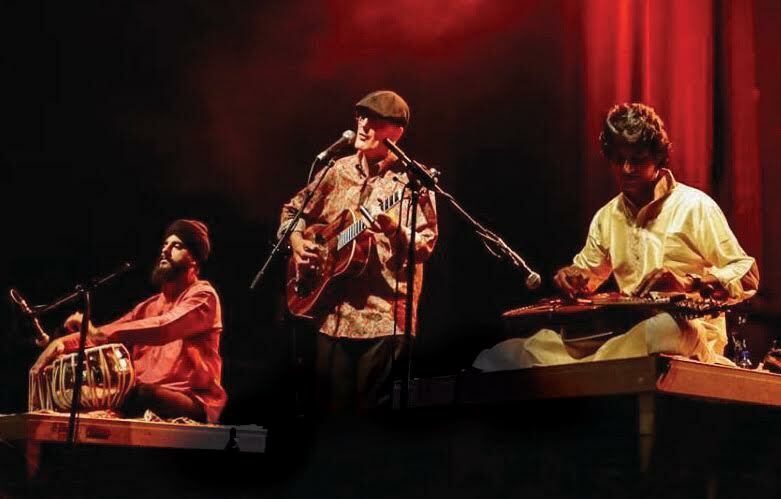 To make the music complete, they added London-based tabla player, Gurdain Rayatt, to create a trio. Regarded as one of the greatest tabla players of his generation outside India, Gurdain had not heard the style of blues that Michael plays, but as with Manish a few months earlier, the combination of their styles was immediate and totally natural. Manish Pingle and Gurdain Rayatt, two masters of Indian classical music, were playing Mississippi delta and hill country blues with Michael Messer, as if they had played together all their lives. All three musicians and the audience at the Troubadour Club that night were completely captivated by this unique fusion of the blues and Hindustani classical music. Fast forward again to April 2015, and a few days after their first UK tour, Michael Messer’s Mitra were at Leif Storm Studio recording their debut album, ‘Call Of The Blues’. It took three days to record the ten tracks and except for a double-tracked vocal on one song, the whole album was recorded completely live with no overdubs.